Three years ago my husband was deployed with the Alabama National Guard. Since we are a Guard family, we know that it can always happen, but this one took us a little by surprise. He was tagged to go with a unit that was not his own and therefore two years earlier than what we had expected. It’s tough when you think you have two extra years to get your stuff together… and then suddenly you don’t. Can I get a hooah? My kids were on the young side (7, 5, and 2 at that time) so I had not felt too rushed to do much besides daily phonics, some math exploration, and tons of interest-lead learning (we were a little more “unschoolish” at that time). That deployment, though, lit a fire under me. I knew that if I was going to survive the year I needed more structure for our days. 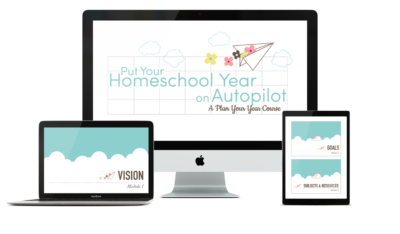 The easiest way to do that was to create a more structured homeschool plan. It was exactly what our family needed at that time. 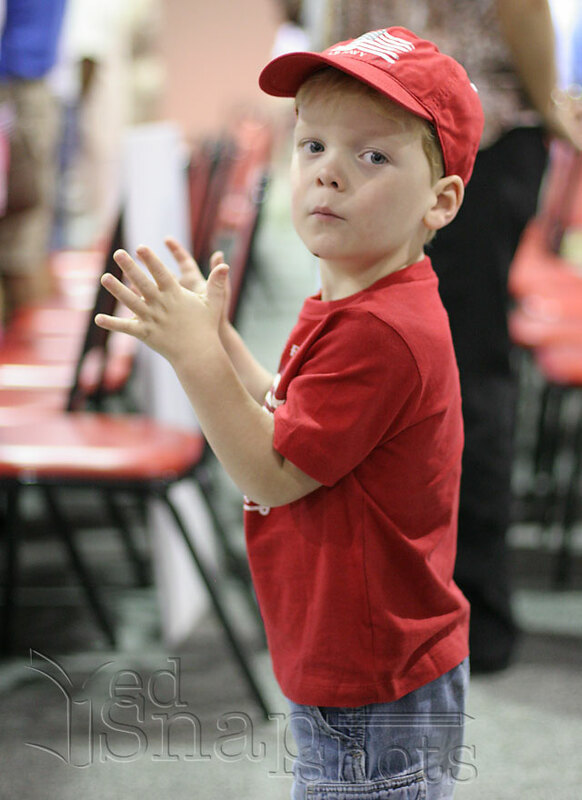 It was then that I started thinking hard about what makes a successful homeschool plan. I had made lesson plans for years as a school teacher. Putting together a 300-page yearbook each year with a staff of 40 teenagers takes no small amount of planning and organization, so it was a place where I knew I had some skills. Homeschooling is different though. Homeschooling is personal. Homeschooling is MY kid. 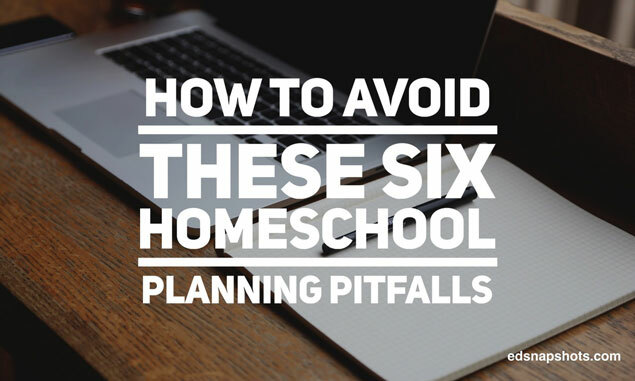 This can be death to a successful homeschool plan. I have learned that it is important for me to have my vision, goals, and course of study in place before I start buying a curriculum. This keeps me from over-planning, buying too much that I won’t use, or spending money on things that have nothing to do with my objectives for the year. This one is fun and unexpected, but totally effective. Just like elite athletes visualize routines to ensure everything goes as planned, I do this with my homeschool day as well. Once my plan is in place, I fill out my spiral notebooks for the first day, sit in a quiet spot, and try to picture in my head how the day might go. Don’t laugh! Often in doing so I discover spots where I have forgotten to prepare and have materials on hand or places where I might not have enough independent work planned for one child so I can work with another. It really works, and I highly recommend doing it. Repeat after me: “My home is not a school.” You don’t have to do things in a certain way because that is what you did when you were in school. You can be creative with your daily, weekly, or annual schedule. You don’t have to do every single subject every day. You can combine students across multiple grades. 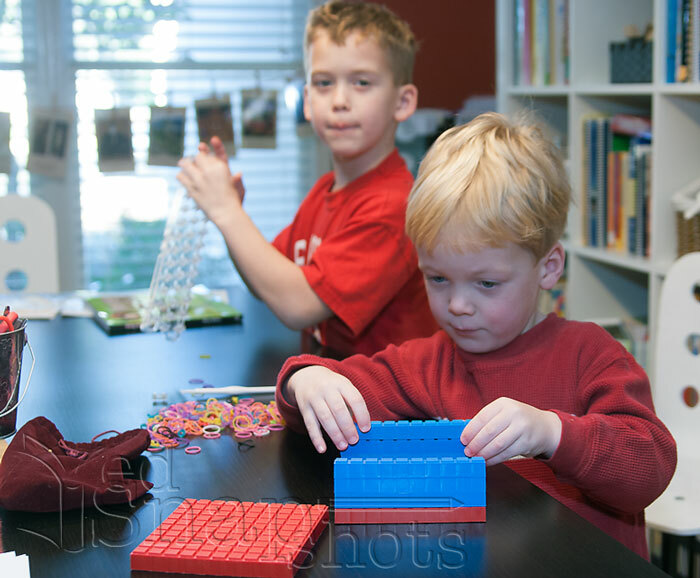 There are as many different ways to homeschool as there are homeschoolers. Don’t be afraid to do what works for you. It’s hard to homeschool (or even plan to homeschool) amidst chaos. A successful school year starts by ordering your homeschool space — if it is a room, a shelf, a bag, or a closet. If you have any kind of overflow space I highly recommend removing all the resources except the ones you will need for this year. Freshen your space with new pencils, fresh paper and notebooks, and maybe even a touch of beauty like a scented candle or new print. I only half-joke when I recommend that no mom should do homeschool planning before 9 PM — preferably after a stressful day. It is impossible to overplan at a time like that. A new year, a fresh slate, is such a temptation for piling on all the good and wonderful things simply because they are so good and wonderful. Once your initial plan is in place glance over it with your red pen in hand and honestly ask yourself if there is anything you should strike out. Remember there is also block and loop scheduling to help you fit in more things with less stress. Finally, successful planning comes from following a logical series of steps that will allow you to complete a plan for your school year before you begin schooling. By following the steps you will need less time during the year to plan, freeing up your schedule for enjoying your days and time with your kids more. Next week I will walk you through each of those steps and why they are important. I will also have a printable checklist for you to follow as you make your plan. 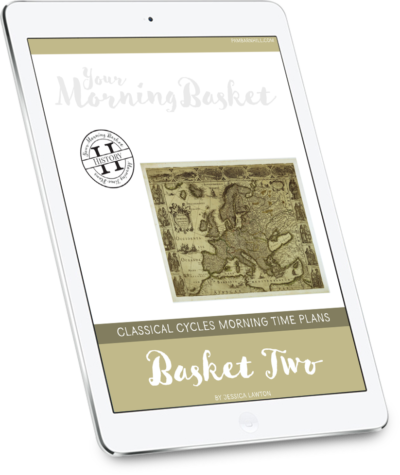 Be sure to subscribe and get your free homeschool planning forms so you will be notified when that post is ready. Excellent advice. I tend to plan way to much. I really need to try striking out with a red pen this year. I love teaching and have so much stuff I want to use. This year we are on the review crew…so there is even more great stuff to explore. The struggle is real. 🙂 Loop or block schedule to fit that great stuff in without burning out! I look forward to hearing what else you have to share regarding planning. I am NOT a planner at all, just a “do the next thing” kind of person. Alison – We are very alike. I do not do daily lesson plans. I LOVE to use “do the next thing” curriculum like MUS and AAR. 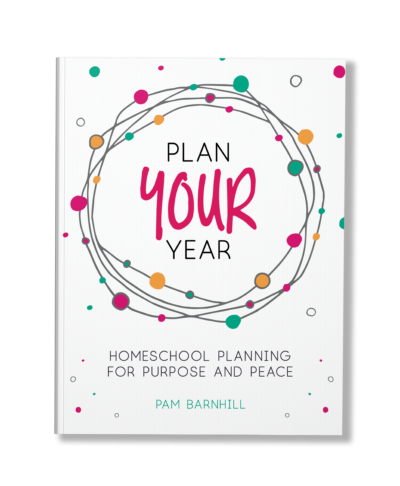 So much so that I turn EVERY curriculum into “do the next thing.” https://pambarnhill.com/homeschool-procedures/ I don’t use over have the pages in my own planning kit. I made those for the people who want them. But next week I will tell you the steps I DO follow, and they are the big picture ones that so many people neglect to do. So I guess all of that to say that you probably ARE a planner, just a different kind of planner. You’re a big picture planner. You want the fussy details to run on autopilot. Nothing wrong with that. Wow, over the last ten years I have done all of these… More than once! But thankfully I have gotten a lot better over the years too. Being overly ambitious is my biggest downfall still, but I have some strategies that have really helped reign myself in. But it sure is a struggle to be realistic! I definitely need to plan differently for next year as I’ve been evaluating the way my kids learn and what I WANT to do vs. what I think I HAVE to do. I’ve thinking and praying about this for the last several weeks since we are taking a break and doing lite summer school stuff. I really appreciate all your blog posts, ebooks, Facebook live chats and podcasts. You have really broadened my thinking and I’m excited and little nervous since I was teacher too and ran my class on a tight schedule. You have to with 25 Kindergarteners. But with my 2 children it’s completely different and I’m finding that out. 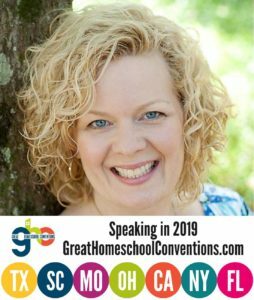 I’ve been frustrated and they have been frustrated and that is NOT what I want for our homeschool. I look forward to more planning ideas from you. I found your blog through your podcasts and also wish I had known about this all a couple of years ago! I’ve been struggling getting with our first year of high school planning, so I bought your planning kit and I have to say it was worth every penny. Such a help. Thank you so much for taking all of the work out of it for those of us who are not natural born planners! I am now about to try block scheduling for the first time as we begin our summer term. I’m starting to feel confident rather than overwhelmed which is a nice change. 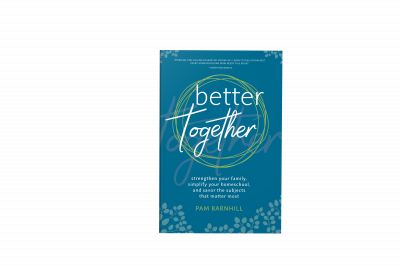 Pam, Thank you so much for your continued insight and ideas – so very helpful. This will be my first year homeschooling and I have bought not one thing yet and feel great about it! I am truly savoring my time, thoughts, my notes in my notebook and my husband and I continue our conversations about our goals and vision. We find that less is more and” simple” for us at least, keeps life flowing better and keeps things more manageable. Goodness, Woman! It is as if you were at my house last night as I was up until way past midnight obsessing about science blocking. Love your blog! Great advice, Pam! I really need to start practicing the visualizing step! There have been way too many times I thought our day was solidly planned and completely forgot an activity. Thanks for the post! I heard your Facebook plans yesterday. Do you have a timetable for when history MT will be coming out? New to you and your site. Excited again, after schooling 17 years! Around the second week of June for term 1. Maybe a little before. That will be Middle Ages. We hope to release one a month-ish until all four years are done.